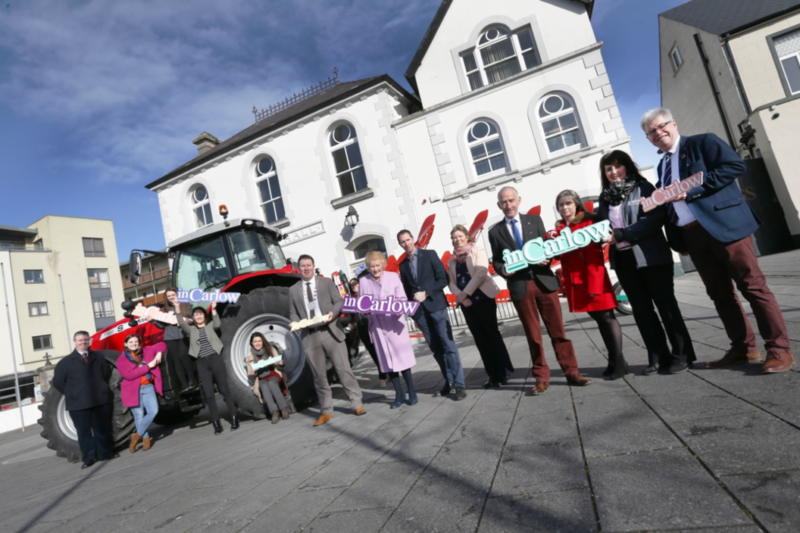 Over a quarter of million people are expected to descend on County Carlow during 2018 for the National Ploughing Championships in Ballintrane, Fenagh, Co Carlow on 17th-19th September 2019 and today (2nd April 2019) , Carlow County Council opened applications for the inCarlow – Enterprise , Education , Experience & Tourism Pavilion which will showcase County Carlow at the Centre of the National Ploughing Championships trade arena during the 2019 show. County Carlow companies can apply to be part of this showcase which is highly subsidized with support from Carlow County Council which includes a programme in order to prepare companies to make the most of the show which includes Exhibition Training , PR Support & Photography for all clients who participate. The project is in partnership with IT Carlow & County Carlow Chamber. Kathleen Holohan, Chief Executive, Carlow County Council, said that “We want to present County Carlow in the best positive light to visitors, media and participants during the National Ploughing Championships. We are delighted with the location of the inCarlow – Enterprise , Education , Experience & Tourism Pavilion right in the heart of the trade stands and expect to welcome thousands of visitors to our pavilion over the course of the championships”. Speaking about the benefits of the National Ploughing Championships to the local economy , Brian O’Farrell , Chief Executive of County Carlow Chamber said “there is no doubt that the National Ploughing Championships will provide a significant economic benefit to County Carlow and its business community not just during the exhibition but also in the run up to the event during September 2019” , O’Farrell continued to say “the inCarlow Pavilion” offers us all in the business community an opportunity to capitalize on this opportunity into the future and showcase Carlow’s strengths from a business viewpoint”.